We are ever so thankful to ADCI in Lake Delton for working to make the Vennebu Hill project vision a real one. ADCI are the ultimate professionals. In a recent report the Vennebu Hill project was showcased in an ADCI press release. Read report here. 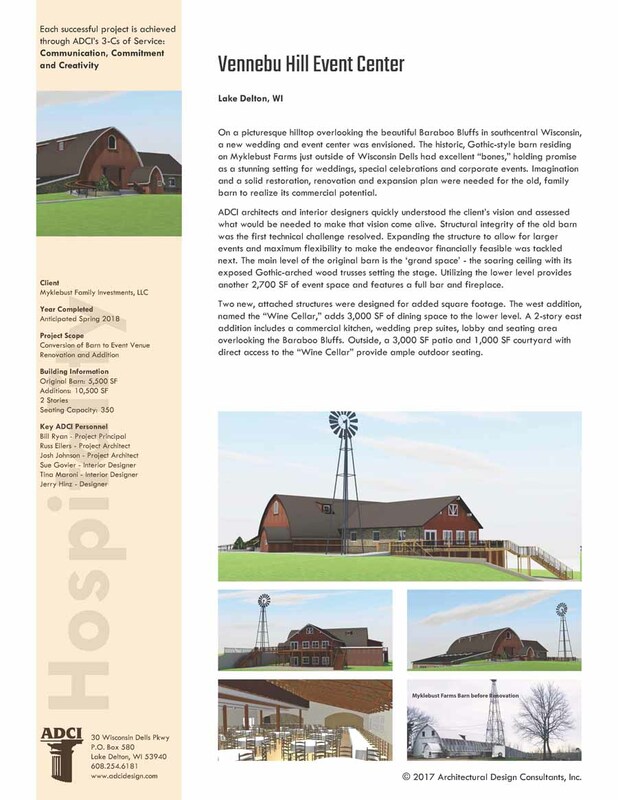 barn to realize its commercial potential. another 2,700 SF of event space and features a full bar and fireplace. direct access to the “Wine Cellar” provide ample outdoor seating.